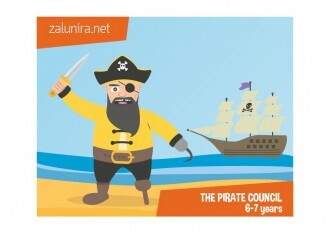 If you are looking for fun entertainment ideas and games for your child's birthday party, Zalunira has just what you need. It only takes a few minutes to print off a treasure hunt or a detective mystery game from our website, the ideal way to make organizing a great home birthday party for your child simple and easy. Since 2011, Zalunira is the go-to site for anyone wanting to organize a treasure hunt or detective mystery activity for a kid's birthday party. Our stories are real games of imagination where the children are the heroes with stars in their eyes. 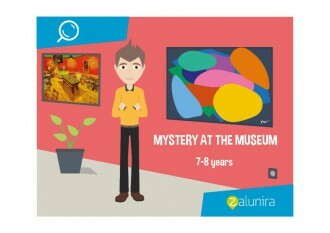 With Zalunira.net, organizing a treasure hunt suddenly becomes very easy, ideal for busy parents! It takes just a few clicks to select and download a game from our wide range of treasure hunts and detective mysteries for kids. Read through the rules, print the documents then hide the clues at home or wherever the birthday party is going to take place. Start with the initial story then accompany the children through the different stages until they discover the treasure or unmask the villain. In this Christmas-themed, ready-to-print game for children aged 5 to 6, the children are set the mighty challenge of freeing Santa, who is being held hostage by his elves. Could it be that there will be no Christmas this year? The Mystery of the Halloween Hotel is a ready-to-print detective mystery on the theme of monsters and Halloween. Version for 9-12 years. This detective mystery is set in the world of King Arthur and the Knights of the Round Table. 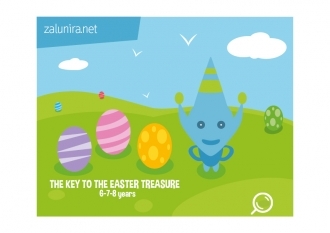 The ready-to-print game can be organised at a birthday party for children of 5-6 years old. Help Isen the Mermaid and the people of the Alunira Sea to break the spell that has been cast over their treasure, a wonderful adventure full of puzzles and riddles to play as a group. 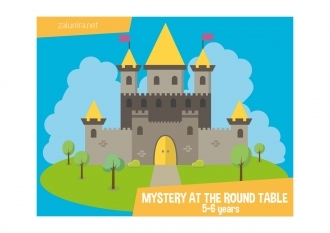 A fun game to print for a birthday party for children aged 6-7 years. To help Princess Nayia, the children are off to the kingdom of Alunira to find all the magic ingredients that will free Prince Ahiel from the clutches of the wicked witch Dokela. A ready-to-print birthday party game for children aged 5-6 years. In this treasure hunt for organising at a birthday party, Alunira's pirate chiefs are angry and accuse each other of having stolen the Council's treasure. Ready-to-print game for ages 6-7. ‘Mystery at the Museum’ is our new ready-to-print detective mystery for 9 year-olds. It's a great activity if you're planning a birthday party at home. Or to play just for fun during the holidays. Print a treasure hunt for free and test our innovative fun concept for an entertaining activity to organize at a kid's birthday party. Free gifts for your school fairs, fêtes, bingo, raffles or children’s association? Blogger? You'd like to test one of our games free of charge? Find out more.